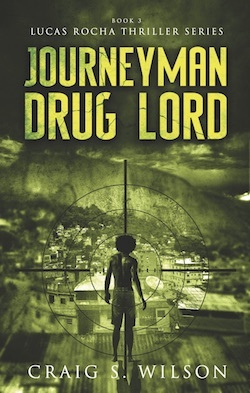 Spoiler for CROSSFIRE FUGITIVE Lucas Rocha Thriller 02. 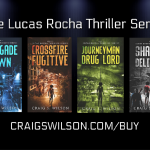 Craig S. Wilson, a masterful storyteller, interweaves several intricate plots… The backgrounds and histories of all the characters was rich and vivid enough to picture the story in your head… Fast-paced, action-packed roller coaster thrill ride that demands your attention from beginning to a cliffhanger ending that will shock you. AfterThought: I am breathless with anticipation: SHADOW DELIVERER is next!